Dan Marentz explains the institute's new "Telegramma" device, meant to reduce Shabbat violations for those who work in medicine or security. 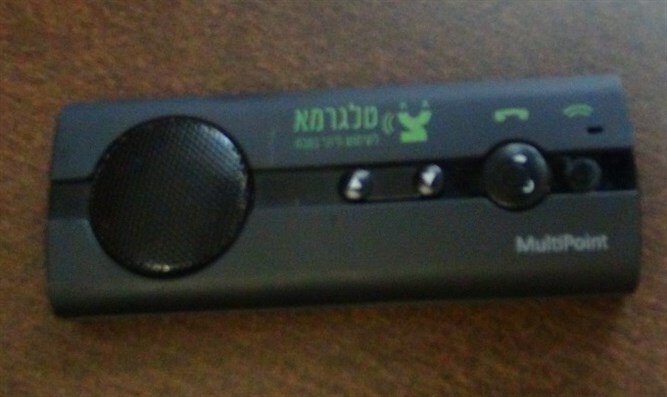 The Zomet Institute has developed a cell-phone device for Shabbat. Zomet Executive Director Dan Marentz says the device, called the "Telegramma", is meant to reduce Shabbat desecration for those who have to make phone calls on Shabbat anyway because their work involves saving lives, such as doctors, nurses, medics, and security personnel. Zomet is a public research and development institute dedicated to seamlessly merging Halachic Judaism with Modern Life. The institute's goal is not to make technology that is permissible for use on Shabbat so that everyone can use it, but rather to find pragmatic Halakhic solutions for situations in which Shabbat will be violated anyway, such as life-threatening situations where one is obligated to violate the Shabbat in order to save lives. Zomet works to develop technologies that minimize the violation of Shabbat in these situations and areas. The "Telegramma" is a new example of this type of innovation. The name is a play on words, combining the obvious "Tele" with the Halakhic term "Gramma". "Gramma" means "indirectly caused" and refers to actions that are done indirectly. While doing an action that is forbidden on Shabbat indirectly is still prohibited, the prohibition is less stringent. Thus the Telegramma device aims to render the actions of turning the phone on, placing the call, and speaking on the phone, indirect. The user turns the phone on with the separate Telegramma device, then dials with the touch screen (using a touch screen is less of a violation, because one is only altering an already existing current) and then places the call and speaks through the Telegramma device. The device is not meant for general use by the public, but only by those whose work entails using a phone for emergency situations. In order to use the Tellegramma, one must download the free Telegramma app. Turning the phone on and dialing with the device takes around four seconds. There is a special red button on the app that enables instant dialing for especially urgent situations.